I was having a little look through the Tin Can Knits stats the other day and it came as a bit of a surprise that our oldest sweater pattern is also our most popular of all time! Gramps was a big part of the concept for 9 Months of Knitting and graces the cover. When Gramps first came out it was only for the kiddies, but by it was so popular we sized it up! There were so many of you who wanted to knit a Gramps for an actual Grampa! Gramps is now available sized from baby to big, our signature size range [more about that here]. 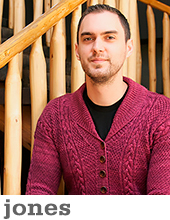 Gramps, along with being our first sweater pattern, was also one of our very first tutorials. 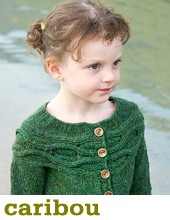 Emily created a 6-part series, taking you step by step through this wee sweater. While it is not the most challenging sweater for those who have knit sweaters before, but there are a few little details that may be new to you, and each one is chronicled in the Gramps sweater tutorial series. Our Gramps tutorials cover every step from cast on to buttonholes! 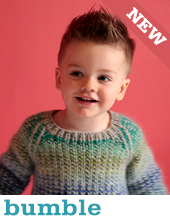 I recently decided to knit up a little sweater for wee Trevor (with some lovely Madelinetosh Vintage in ‘rainwater’ and ‘twig’) and it seemed just the time to give the tutorial a face lift! It is the same great tutorial as before, with a few extra details and a few parts have been expanded. There are so many great versions of Gramps to see on Ravelry, here are a few of the highlights! So, have you knit up an adorable Gramps for someone you love? I just finished one of these for my 2 year old “grampy’ grandson. Can’t wait to give it to him. He lives in Paris and I’ll be going for his birthday in March. I recently finished and gifted my first toddler size Gramps. The recipient loves it! Such an enjoyable, well-written pattern. I hope to teach a class at the LYS where I work using this pattern after the holidays. Marlene.